"Democracy is the worst form of government - except for all those other forms that have been tried from time to time." Challenging Democracy tries to get to the bottom of the dilemma expressed in this world-famous quote from Winston Churchill. Designed as a visual reader that makes targeted use of the communicative power of the image, the book constitutes a comprehensive compendium on the history, development, and current debates on democracy. Are democracies more capable than other forms of government? What role is played today by digital media in democracies and democratization processes? Is globalization conducive to democracy? What forms of democracy are there? 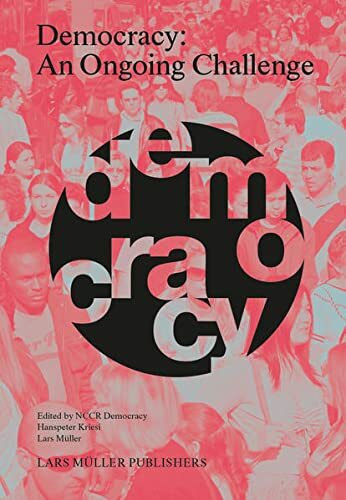 The visual reader delves into both fundamental and more topical issues and thus provides the key to a comprehensive understanding and an in-depth engagement with democracy from its origins to the present day. With contributions by Andre Bachtiger, Thomas Bernauer, Daniel Bochsler, Florin Buchel, Francis Cheneval, Frank Esser, Regula Hanggli, Jurg Helbling, Erik Jentges, Hanspeter Kriesi, Daniel Kubler, Andreas Ladner, Sandra Lavenex, Wolfgang Merkel, Frank Schimmelfennig, Marco Steenbergen, Manuel Vogt. "Democracy is the worst form of government -- except for all those other forms that have been tried from time to time." Challenging Democracy tries to get to the bottom of the dilemma expressed in this world-famous quote from Winston Churchill. Designed as a visual reader that makes targeted use of the communicative power of the image, the book constitutes a comprehensive compendium on the history, development, and current debates on democracy. 1. Democracy: An Ongoing Challenge.